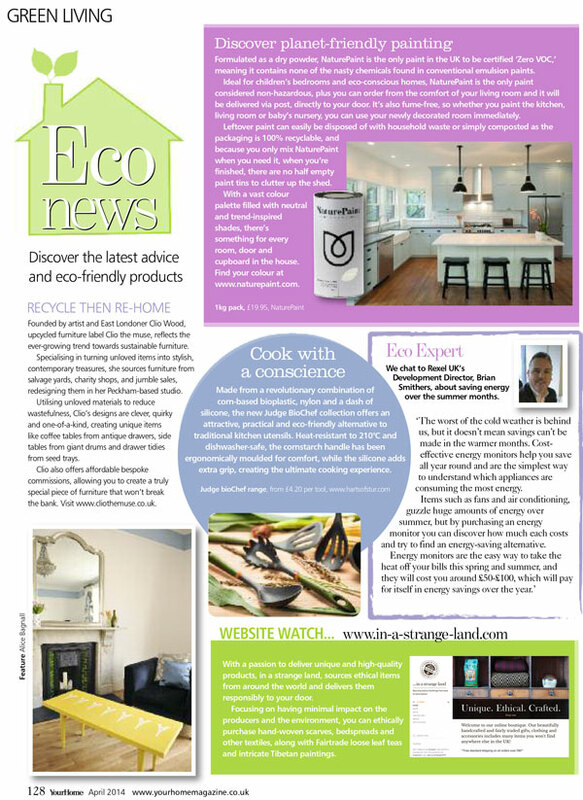 A fantastic bit of press in Your Home magazine in the April 2014 edition. If you missed it, here’s the article in the Green Living section. Painted, woven or made. The perfect gifts for Mother’s day.